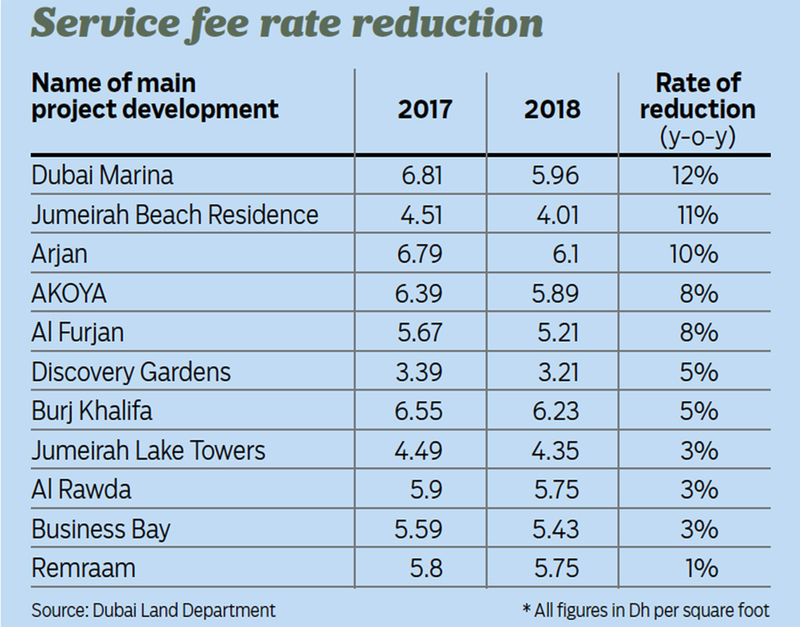 Dubai: Service fees at some of Dubai’s most sought after freehold locations actually declined over the last 12 months, according to the Dubai Land Department, with Dubai Marina seeing a 12 per cent decline while fees for Jumeirah Beach Residences were down 11 per cent. On a square foot basis, the Dubai Marina average is Dh5.96 while the JBR one is Dh4.01, down from Dh6.81 and Dh4.51, respectively, the government agency says. This excludes district cooling and electricity fees, which make up 45-65 per cent of total service fees. Even at mid-tier locations such as Discovery Gardens, there is a 5 per cent drop from Dh3.39 to Dh3.21 per square foot. 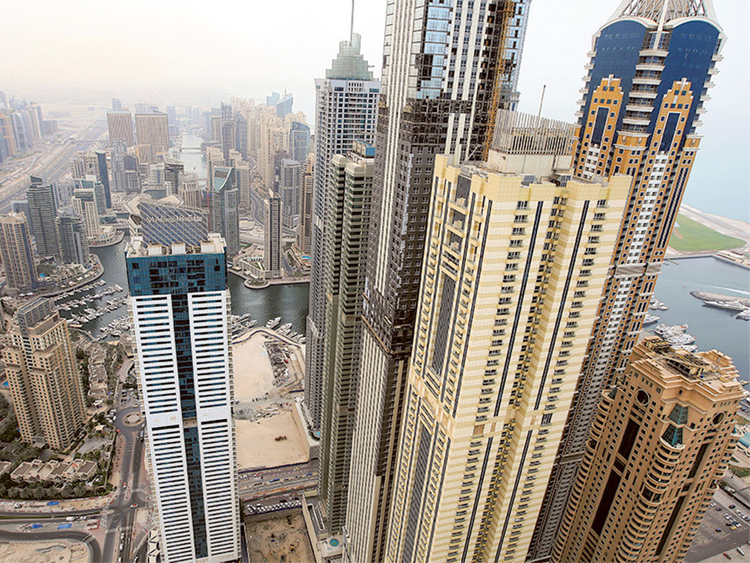 At the Burj Khalifa, fees dipped 5 per cent year-on-year to Dh6.23 a square foot. In all, Rera reckons that service charges in 11 freehold designated zones in Dubai saw declines of between 1 and 12 per cent. Homes at Remraam community in Dubailand saw a 1 per cent dip year-on-year to Dh5.75. Rera’s approval must be sought for the collection of service fees. It discloses the summary of service fee data for all co-owned properties on the Land Department’s website. Home owners have the right to apply for all necessary clarifications on service fees by filing queries with the project management company and the owners’ association. If neither cooperate or fail to provide adequate responses, owners may file a complaint with Rera. If the property management company prevents owners from using facilities in communal areas, the owner has the right to file a complaint with Rera, which in turn can fine the non-compliant company.